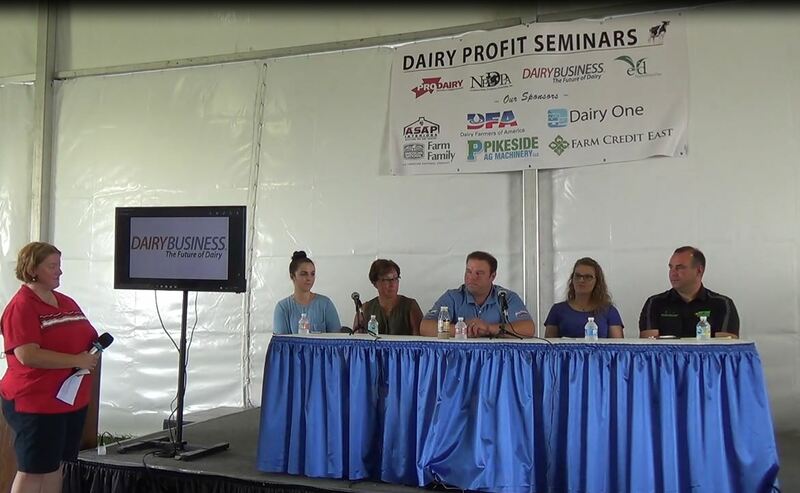 Lameness in your dairy cows is detrimental not only to herd health, but to your bottom line as well. Economically, the results of foot disease are much greater than the treatment costs. 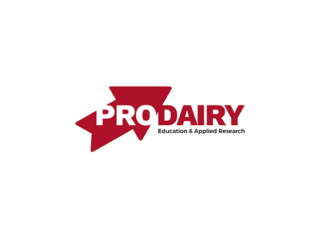 Reduced milk yields, lower reproductive performance, increased involuntary cull rates, discarded milk, and the additional labor costs to manage lame cows lead to the largest monetary loses. Studies in New York have shown that lameness is one of the most expensive health problems, at a cost of $90 per cow. How can you avoid these problems and the high costs they bring? Step one, is knowing how to identify lameness. Having a keen eye and taking the time to observe your cows in locomotion is the first step in preventing problems. We all know cows that are limping or are favoring a certain leg are lame–but typically those cows can been lame for quite some time. To reduce pain and negative impact, catching lameness early is important. Let’s review locomotion scoring using the scale developed by Zinpro, which scores cattle 1-5. * A score of 1 indicates a normal cow. She stands and walks with a level back, and makes long, confident strides. * A score of 2 is a cow that is mildly lame. When standing, her back will be flat, but will arch when she walks. Her gait will be slightly abnormal. * A score of 3 is given to a moderately lame cow. She stands and walks with an arched back and short strides with one or more legs. Slight sinking of dew-claws in limb opposite to the affected limb may be evident. * A score of 4 is a cow that is lame. When standing and walking, her back is arched. She’ll favor one or more limbs, but can still bear some weight on them. Sinking of the dew claws is evident in the limb opposite of the affected limb. * A score of 5 indicates a severely lame cow. There will be pronounced arching of the back, she will be reluctant to move, and will almost completely transfer weight off of the affected limbs. As indicated by the score descriptions, looking at the cow’s back while both standing and walking can be a good indicator of lameness. Catching and treating lame cows early, before they are 4’s or 5’s will greatly improve animal welfare, prevent long term problems with the animal, and have a smaller economic impact. The best way to look for lameness is to spend some time watching your cows. Learn how they walk so you can see a problem more easily when there is one. Observe them going in and out of the parlor or barn and as they wander around the barn, pasture, or cow yard. As with any problem on the farm, the key to good management is early detection and aggressive prevention. Speaking of prevention, what can be done to reduce the risk of lameness on your farm? There are three main areas I recommend focusing on to encourage hoof health and reduce lameness. First is hoof trimming. Regular hoof trimming once or twice a year can improve cow comfort and performance. Keep in mind that hoof trimming can be stressful for cows and may lead to a 10% reduction in milk yield directly after trimming. 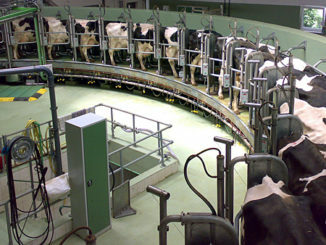 However, regular trimming has the potential to increase the longevity by one lactation. A popular time for many dairies to trim hooves is during the early dry period, as this can reduce or avoid some of the adverse effects of the stress of hoof trimming. 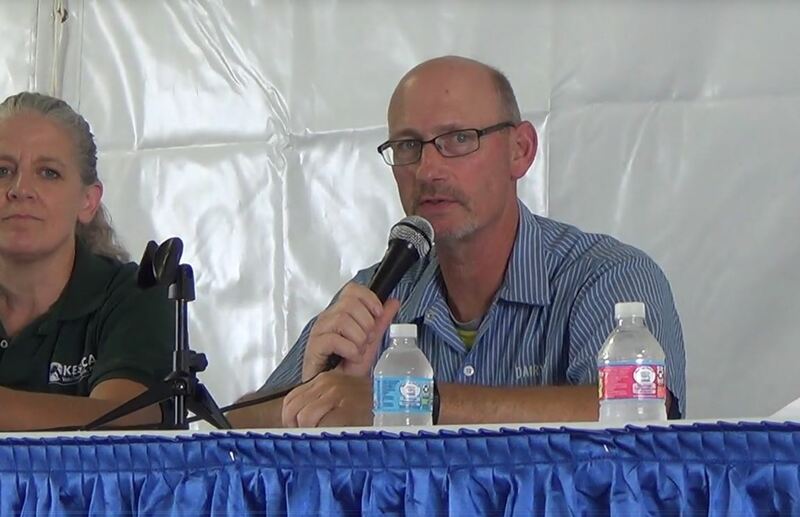 Another area to focus on in preventing lameness is nutrition. Most lameness occurs in the first 100 days of lactation, when cows are susceptible to a whole host of problems. Proper nutrition can help combat many of these issues. Rations that lead to acidosis can also lead to laminitis. The difficult part is typically managing the high percentage of carbohydrates in the diet. To feed carbohydrates correctly, measure fiber levels using neutral detergent fiber (NDF), and acid detergent fiber (ADF) values. Fiber also must be in high enough concentration and have the right physical form and particle size. Increased particle size increases cud chewing and, therefore, increases saliva production and aids in efficient digestion. Successful feeding programs will maximize feed intake, minimize acidosis, while maximizing energy intake during early lactation. Lastly, housing and environment play a huge role in preventing lameness and hoof problems. Cows confined to concrete all day are at higher risk for feet and leg problems. Cows should have sizeable, comfortable stalls and there should be 10% more stalls than there are cows. This will encourage at least 10 hours a day of laying time, which has been shown to reduce claw problems. If possible, provide cows time to be on dirt or pasture. When moving cows, allow them to go at their own pace to prevent slips and falls. As always, for prevention and treatment of hoof problems consult with your veterinarian as well as your hoof trimmer and nutritionist. They can help you develop a thorough prevention plan and treatment plan for lame cows. Foot problems are a major concern for dairies and care should be taken to avoid promoting these problems. 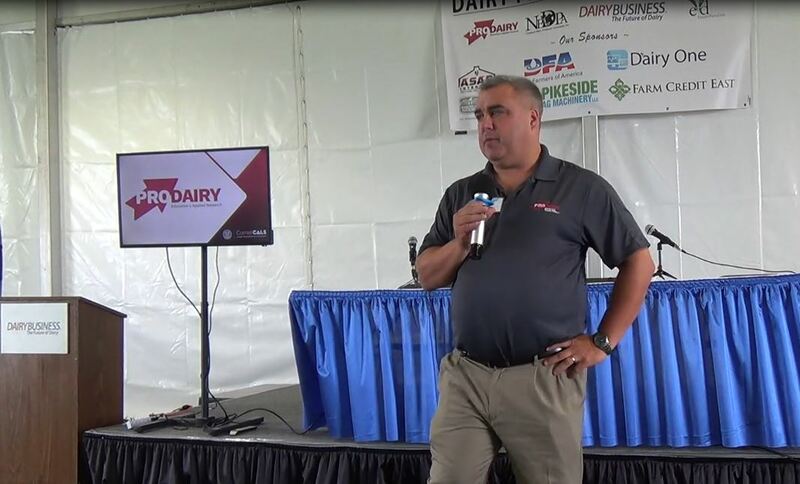 Reducing risk of lameness now can help you avoid reduced milk yields, lower reproductive performance, and additional labor costs in the future.